This cache has been set to mark my 100th find. I have been visiting Loch Morlich since I was a baby so it seemed an ideal place to set it. The cache can be approached by parking at the gates to Rothiemurchus Lodge then a short flat walk of less than 1km to the loch. If you want something a bit more energetic, you can continue around Loch Morlich – its well worth it. One summer we cycled around Loch Morlich and stopped off at the cache site for a wee rest. 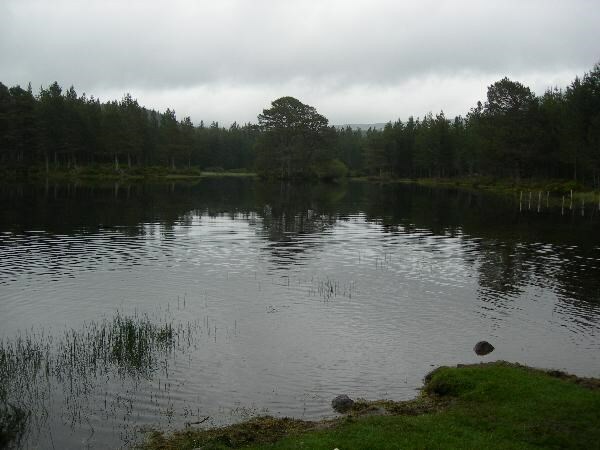 My two nephews went for a swim so Mad Granny suggested “Skinny-dipping Loch” for a name! However, my oldest nephew named the cache “Secret Loch".